Scooterpac Fold-Away Scooter Canopy - All Weather. Scooterpac The world’s first fold-away mobility scooter canopy. Come rain or shine it's fine out with Scooterpac! 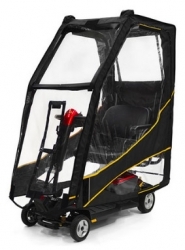 It fits virtually every scooter and folds out in seconds for protection from all weather conditions. 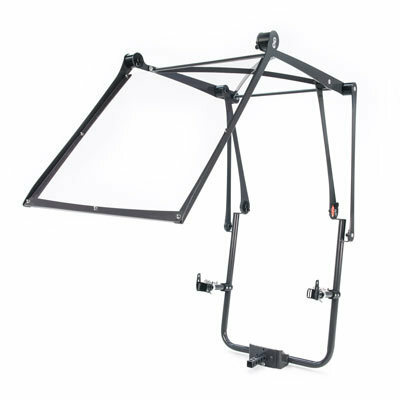 Enjoy independence with this easy-to-use canopy and go out on a whim, without any help. Looks like rain? Fold it out from behind the seat to form a top and side canopy. Turned out sunny? Fold the canopy back in seconds for a breezy ride. 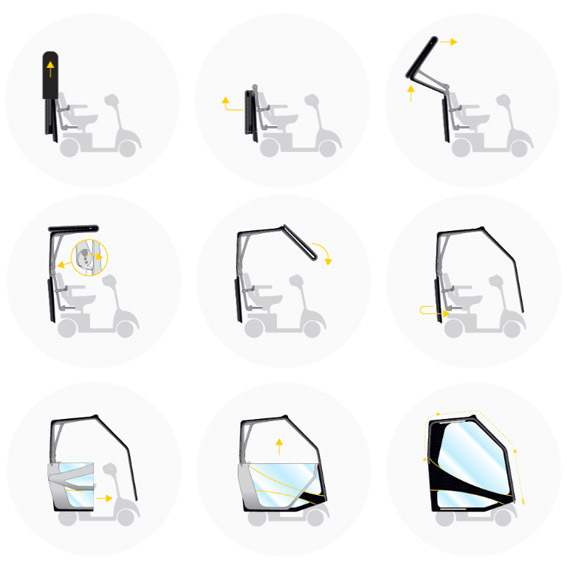 One-size-fits-all design - Using cleverly adjustable arms, the Scooterpac canopy fits securely to all scooters - even car-transportable models. 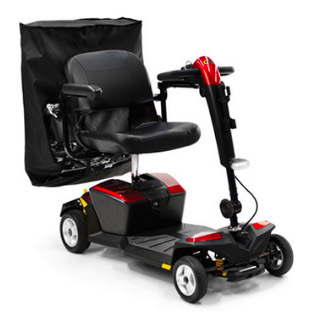 The compact design and lightweight frame mean you can easily transport your scooter as you’ve always done. Speedy - No long waits for a canopy to be made, and with the added benefit of it fitting virtually every scooter - instantly! Versatile - From the largest 8mph scooters right through to the smallest car-transportable, the ScooterPac’s clever design means one size fits all! Robust - Aluminium construction for long term durability and no chance of rust! And-state-of-the-art cover material too!